One of the things I love most about doing these Gift Guides every year is getting to introduce brand new companies coming onto the direct sales scene. This is especially true with this next company who is practically exploding into the market with their brand new 100% nail polish strips which provide basecoat, color, and top coat in every strip with the bonus of no drying time! Color Street just went live few weeks ago and is already making waves in our industry with this innovative new product. Independent Color Street Presidential Founder Lorri Moffatt is one of the ones making waves with this brand new company, and I am delighted to get to feature her in our Christmas in July event! 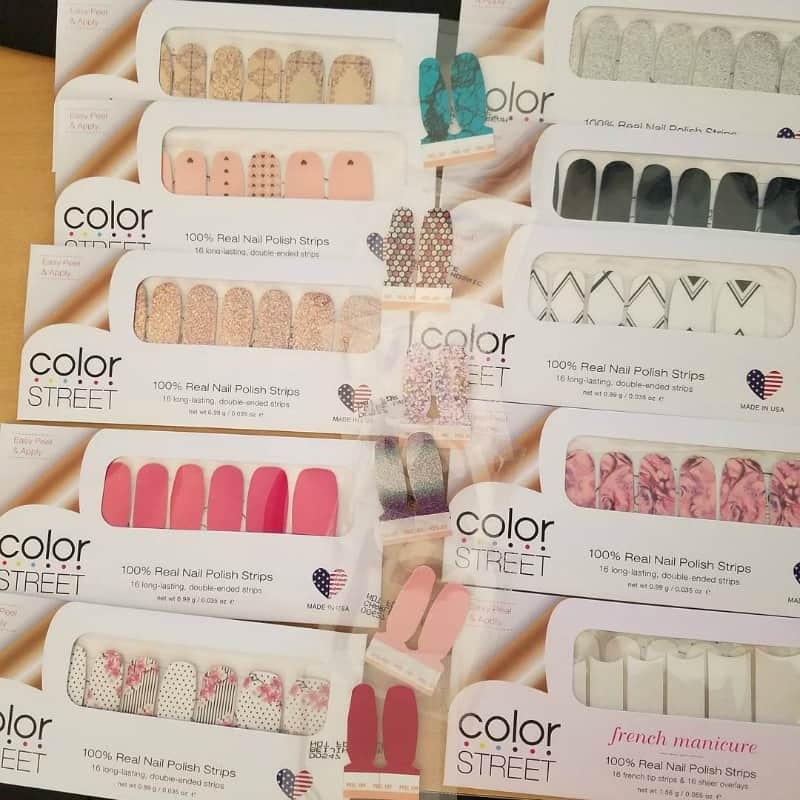 Lorri sent in a variety of Color Street Polish Strips for me to check out for this review. I had them in my hands all of .2 seconds before my college-bound daughter and her girlfriends snagged them for themselves! Color Street is made with 100% nail polish which adheres to your nails instantly with just the press of a finger. 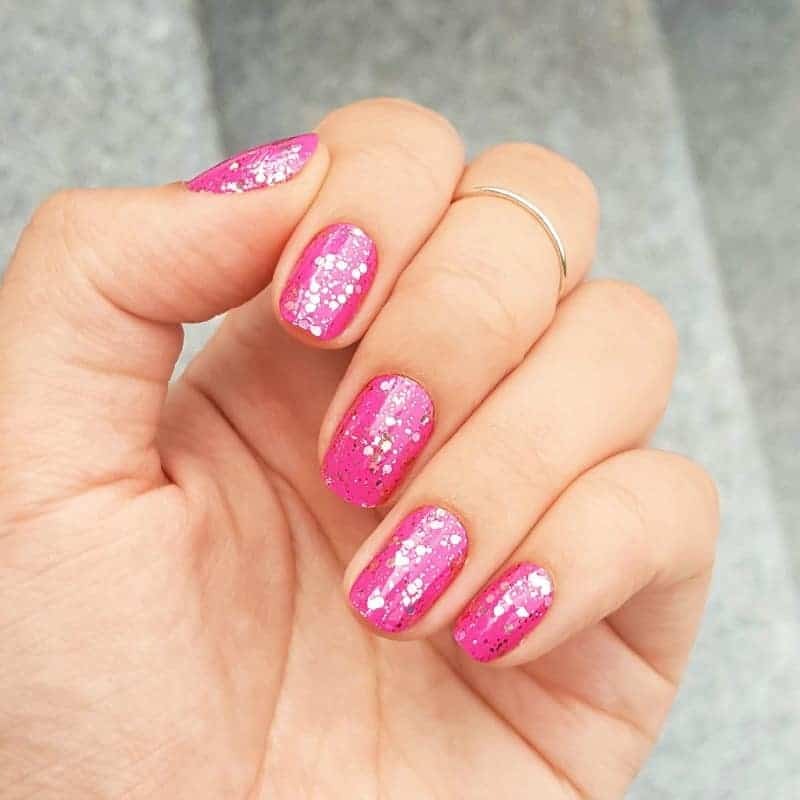 They offer a wide variety of designs with fun names like New York Minute, Southwest Dream, Tokyo Lights, and Hollywood Kiss, as well as solids and french manicure. The colors are vibrant with a glossy finish and are SO easy to put on with no tools needed other than a nail file! Since Color Street is made with real nail polish, it comes right off with nail polish remover. You can purchase Color Street right from Lorri’s website, or host a party to earn free and discounted products for sharing this fun new product with your loved ones! If you are looking for more, consider joining Lorri’s tam and building a business with this brand new ground floor opportunity with limitless possibilities! Check out Lorri’s Color Street website to learn all about how to get involved with Color Street!